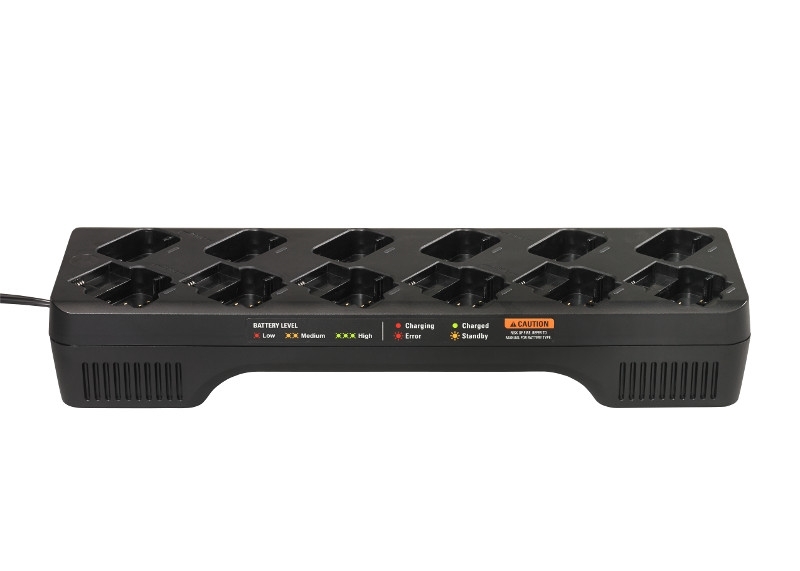 The PMLN7136 Multi-Unit Charger is a 12-Pocket Charger for the DLR Series. This charger can charge up to 12 two way radios at once, or 6 radios and 6 batteries! This 12-Bank charger is designed to work with the Motorola DLR1020 and DLR1060. 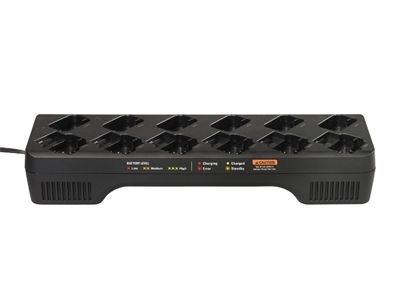 This multi-unit charger can be used to clone radios so that you can match the programming of your radio fleet.